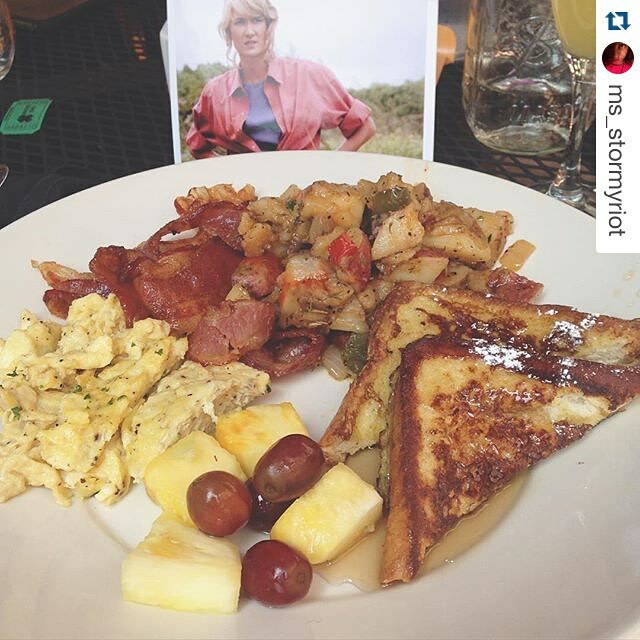 Have you heard of Geek Girl Brunch? No? Let me fill your earholes with some information. Geek Girl Brunch started as a get together for a group of friends that has since become a worldwide association of chapters. Chances are no matter where you are there’s a Geek Girl Brunch chapter fairly close by. 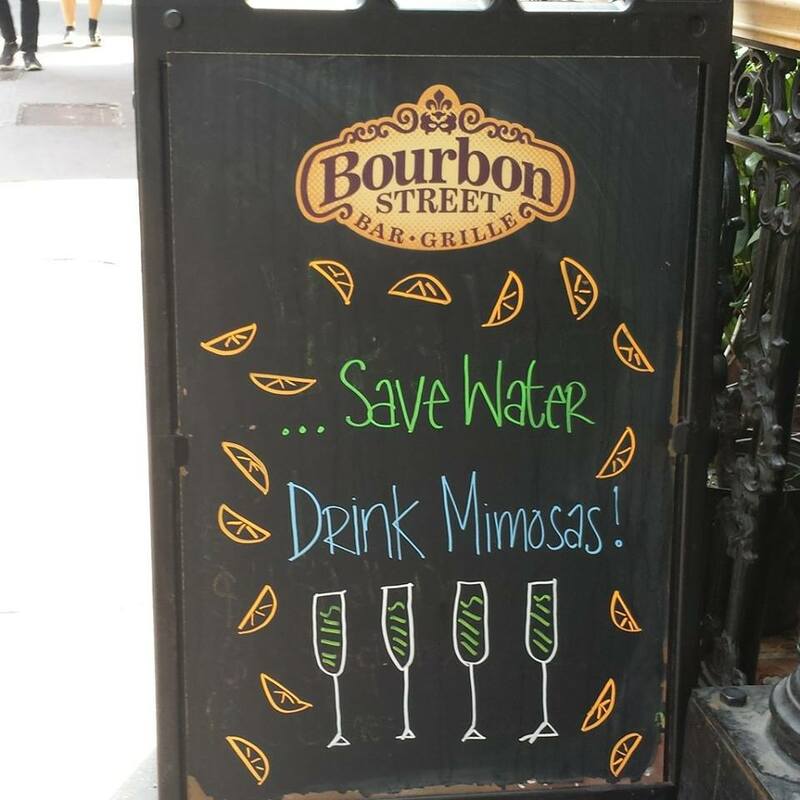 Gather ye Geek Girls each month (or whenever) for boundless fun, food and of course the brunch staple of mimosas, Bloody Marys and fruity drinks. In my particular area there’s the New York (founding) chapter, the Philly chapter and hopefully by the end of the year a Central Jersey chapter. On July 26th 50 or so Geek Girls got together at Bourbon Street Bar & Grille for a day of Jurassic sized fun. Brunch was simply delicious. I of course didn’t have the above fruit salad (it has Lexie Poison! ), but the potatoes were off the hook and I loved the french toast. I’m sad I didn’t try the bread pudding, but trust me by the time that came out I was stuffed full. Each Brunch typically has little goodies to give away as a sort of “wooo party time!” gift for each girl. 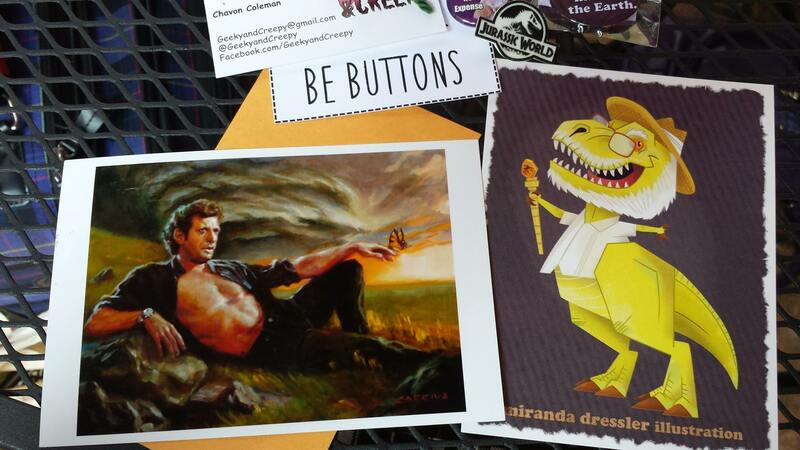 For our Clever Girl Brunch, theme being Jurassic Park/World, we got some really fun things! 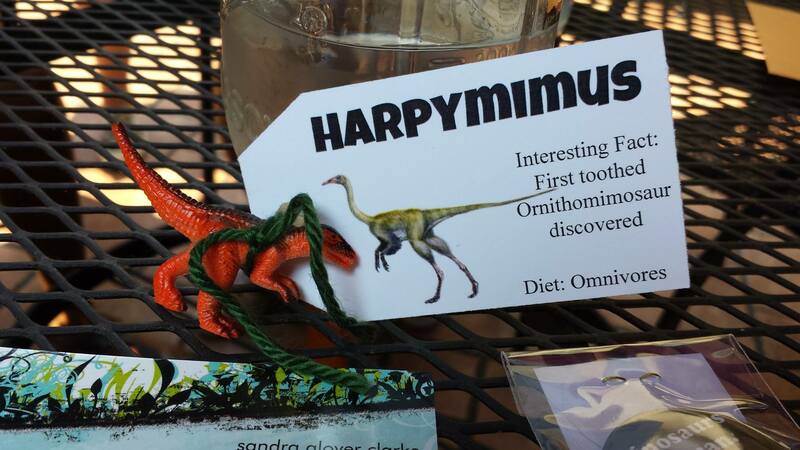 Its important to remember your dinosaur you were given–in my case the Harpymimus–as later on, when the girls were calling out winners for various prizes, ya kinda had to figure out if they pronounced something that looked like your dino-name. Oh before I forget I want to give a shout out to our wonderful bartender for the event, Danielle. She was the sweetest thing and very fun to chat with! As I need to lurk in the shadows sit in the shade due to my vampirism pale skin I snagged Des & I seats at the table near the front with Jamila (aka @girl_gone_geek) who was sporting a lovely pink shirt covered in Jeff Goldblum swagger (he played Dr. Ian Malcolm in the 1st & 2nd movies). Chatting ensued! We broke the ice by talking about a fun fact about ourselves (I broke out my book collection fact, since really that’s the coolest thing about me in my opinion) and this led to talking about a number of things. 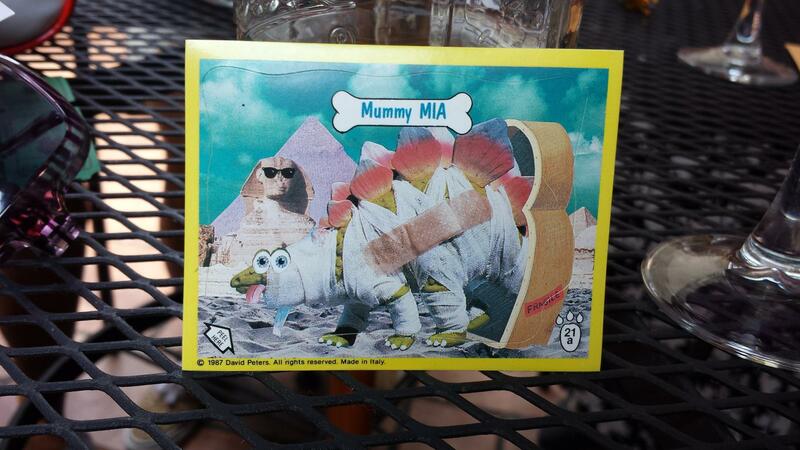 There was a discussion about anime, reading choices, where our love of dinosaurs stemmed from, how we felt about Jurassic World, where we were from, where we’ve traveled, social media shenanigan’s and if this was our first Brunch or not. For the sake of memory my table consisted of Jamila, Des, Megan, Amanda, Mya and myself (I apologize to anyone who’s name I just used the incorrect spelling for, I should have written it down). 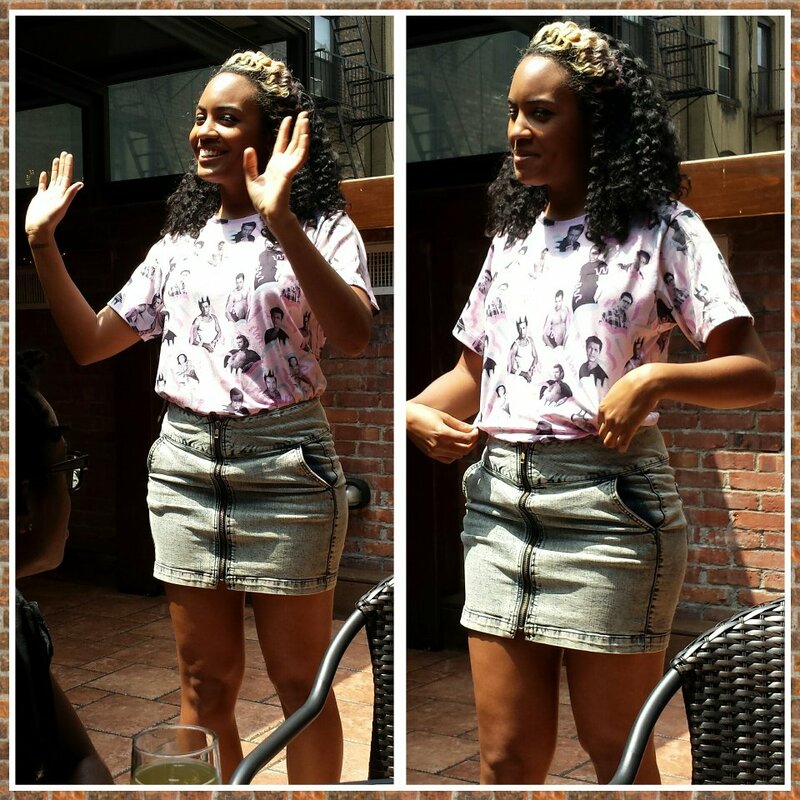 We talked a bit about how Geek Girl Brunch got started as well as why we thought it had become such a thing. In all honesty its because girls like me, who in middle school and high school, wanted to talk about ridiculous things at length with like-minded girls where there was no judgment or condemnation or “weird” feelings, wanted something to gather around. Most of us have friends on the net with our interests, and attend conferences or conventions or are lucky enough to have local events to fill the space, but some of us don’t. 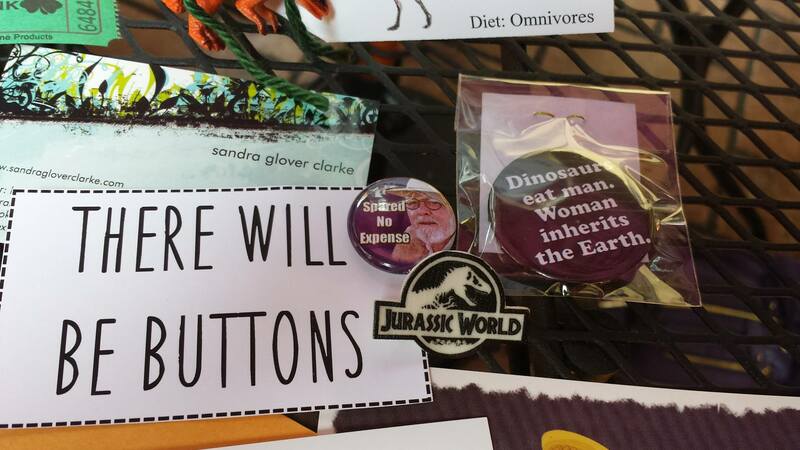 Geek Girl Brunch offers an arena once a month or so for girls to make new friends that are guaranteed to be just as excited as you are about the fact there were STICKERS with stupid jokes on them and bad puns featuring dinosaurs. After the prize portion (I won a Jurassic Park tumbler glass!) we all corralled ourselves to figure out how we were getting to the American Museum of National History. Which was an adventure in and of itself! Previous Mockingjay Part 2: A New Trailer is Here and it is AMAZING.